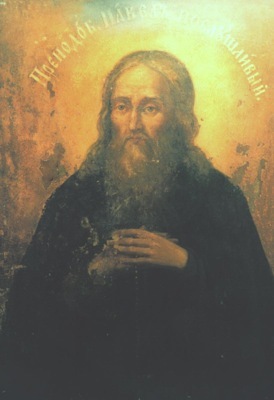 Saint Paul the Obedient was an ascetic in the Far Caves at Kiev. Upon assuming the monastic schema at the monastery of the Caves, the monk underwent very burdensome obediences without a murmur, on which the monastery’s Superior had sent him. He was never idle, and when he was not at an obedience, he ground the grain under the millstone, wearing down his body by this heavy work and attaining ceaseless inner prayer. The Church honors his memory on September 10, on the day of his namesake Saint Paul, Bishop of Nicea. Послушника истинна и преподобным равночестна,/ всеблаженнаго отца нашего Павла,/ приидите, любимицы, усердие ублажим,/ яко молящася непрестанно о всех нас.